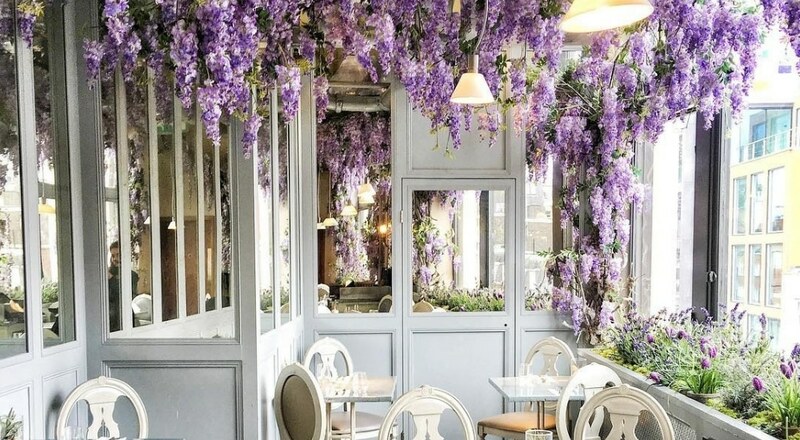 On the second floor of London’s favourite department store, Selfridges, you’ll find a French restaurant draped in wisteria. Aubaine, the fancy and floral French restaurant, is a welcome retreat from the stresses of central London shopping. Grab yourself a glass of Champagne, a power breakfast, or a swanky seafood dinner, and dine beneath the wisteria-covered ceiling. This stunning springlike setting is the ideal spot for a mid-shop refreshment. The menu has everything from eggs and French toast, to steak and lobster spaghetti. 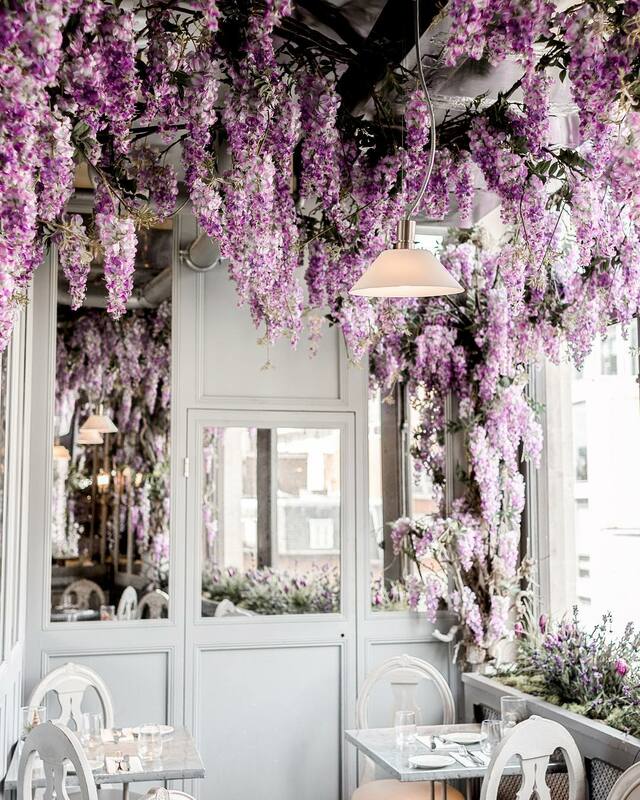 A big hit on Instagram (duh), the venue is draped in wisteria all year round, with a few added festive surprises for the winter season. With Autumn now in full swing, Aubaine’s menu has been given a crisp and golden makeover. With comforting and wholesome dishes and a spanking new cocktail menu, featuring the likes of the Spiced Pumpkin Martini and the Orange & Maple Collins, it’s definitely worth ditching your duvet day for. Location: 400 Oxford Street, 2nd Floor, W1A 1AB. Nearest station is Bond Street. Find it on Google maps. Opening hours: Monday to Friday, 9:30am – 11:30pm. More information: from Aubaine’s website.
? Like to dine in Insta-friendly settings? 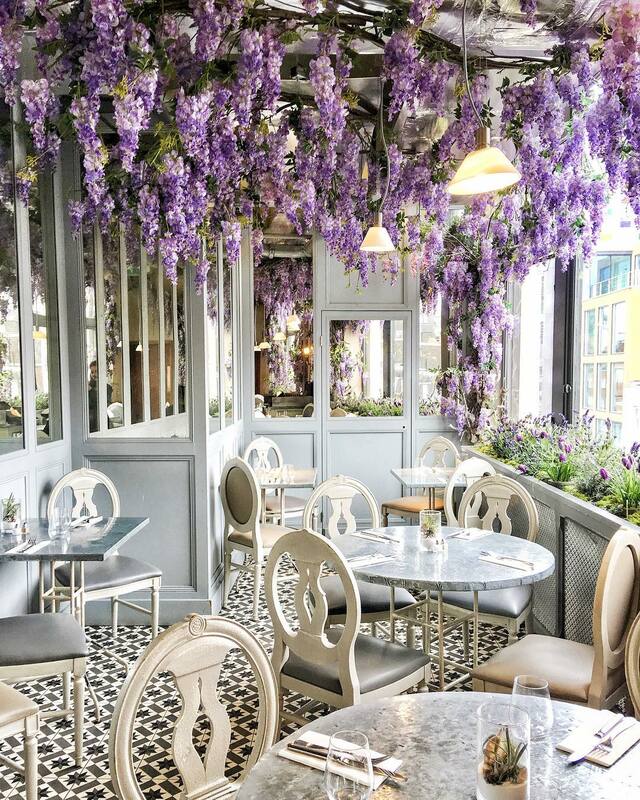 Check out The Dalloway Terrace’s lovely autumnal makeover. ?